BOTOX – Most known for reducing crow’s feet, frown lines and wrinkles, Botox ®Cosmetic is the #1 non-surgical, physician-administered, aesthetic treatment in the United States. Radiesse ® is made of calcium microspheres suspended in an aqueous gel. It works below the skin’s surface, to stimulate your body’s own production of collagen. Fillers are used to plump the skin, filling in wrinkles and folds that develop with age. The lines that respond best to treatment are those that are static (lines that are present when your face is still). 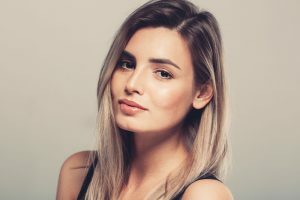 Combination Therapy: Our office approaches non-surgical facial rejuvenation in a comprehensive manner by combining Botox ® with other injectables such as dermal fillers and/or fat grafting. Fat Transfer: There is a natural fullness that is associated with youth that we lose as we age.